I was so lucky to be invited an event by The Butterfly Project Malaysia the other day and guess what? I just got a new bestie. Her name is Ms Rosy a young, confident, active and intelligent young woman. Well before we dig in into her secret of radiant rosy fairness, how about we get to know her first shall we? Ms Rosy is an active young woman who live in modern life style. 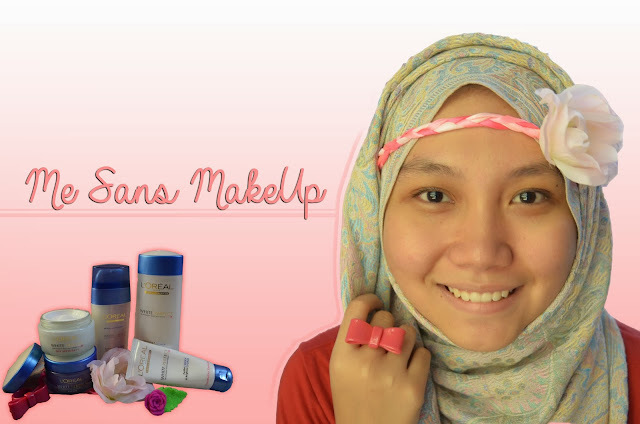 She is just like us obsessed towards everything that is pink, she loves to shopping, makeup is her soul, fashion is an addiction to her and she loves having virtual friends in her social medias just like we do and of course she can't live without her favorite and trusted skin care products! Every morning she will getting ready and apply her favorite day skincare to make sure her skin is looking glowy and healthy throughout the day. Well because her modern lifestyle is quite hectic, she spend some quality time to relax and watching her favorite TV shows that she missed earlier. If it almost her bed time, she will take her shower and put her PJs on to getting ready to bed and of course she will never missed to moisturise her skin with her night care products. Just to maintain and make sure her skin will stay hydrated, healthy, radiant fresh in the morning. So what is exactly her SECRET? 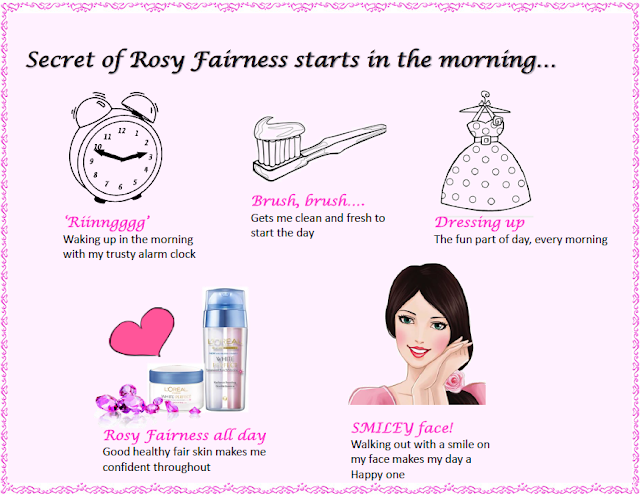 Since Ms Rosy and I are BFF now, she shares all of her secret to her rosy fairness skin with me. She said that the complete skincare range is powered by two unique ingredients that provide a double action on skin to keep it fair and rosy. 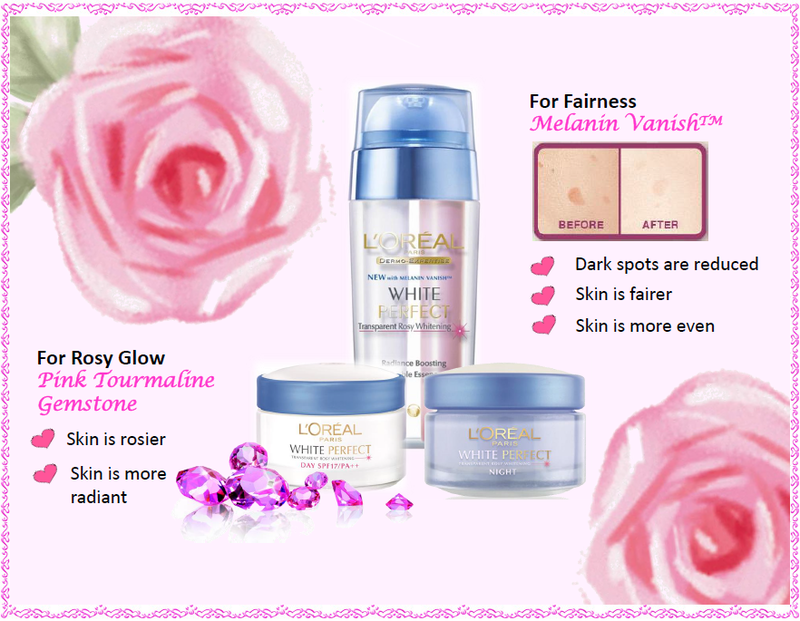 L'Oreal Paris White perfect contains Pink Tourmaline Gemstone which helps the skin looks rosier and more radiant. Complement with that, the Melanin Vanish works deep inside the skin where each drop of it is 50 times more powerful than a drop of MelaninBlock making it more effective in combating dark spots,dullness and uneven skin tone. So here is the step-by-step on how to achieved the perfect lovely rosy skin like Ms Rosy by yours truly. Starting off by cleanse your skin with this cleanser to help remove dirt and impurities from the skin and leaving it clean and flawless. 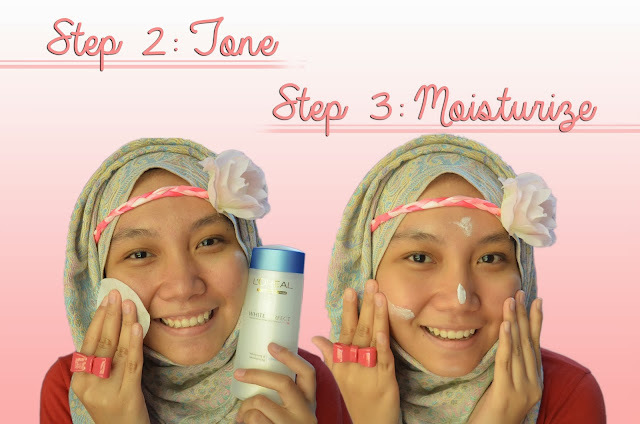 Next step apply toner with cotton pad using upward motion will help the skin to tighten, make it feel refresh and hydrated as well as making the skin absorbs other products just like a dream! This day/moisturising cream is amazing because it has SPF17 in it that can help protect your skin from harmful UV rays and gives you rosy fairness glow and reduced the appearance of brown spots and freckles. With the long-lasting hydrating properties helps tighten pores to give it more refined look. This step is so special because you can definitely put it in your morning regime as well as night regime to achieved the lovely rosy skin. This double-action radiance-enhancing essence has two powerful ingredients- Melanin Vanish and Pink Tourmaline Gemstone. This essence helps to lighten skin tone and fade brown spots for even and radiant skin. With a regular use, skin is moisturised, feeling softer, smoother, even and fairer looking. Last step is applying the night cream before you go to sleep will help the skin to repairs and rejuvenate while sleeping. To me, this step is to most important step because our skin cells renew when we are sleeping and this is the time where all of the products is working effectively on our skin. 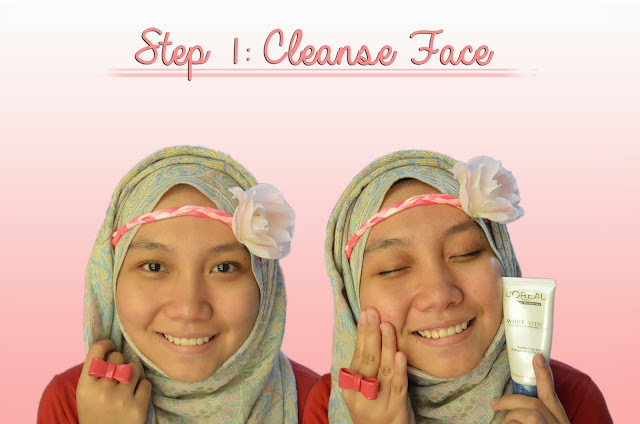 So when you wake up in the next morning, your skin will look even fairer and rosier looking. 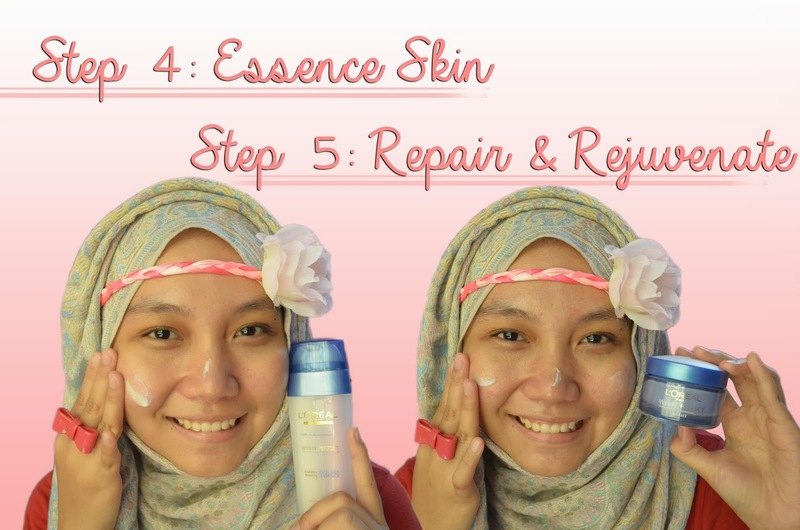 * This is my honest opinion as always and due to my late submission I am able to try this skin care for almost 2 weeks. You can definitely see my skin looks rosy and healthy. This IS my current skincare routine. *I do not wear any makeup at all in this post. I do not enhance any of the pictures above minus the last animation picture has a little effect. I'm totally bared-skin. I applied all of the products following the steps. So cute hehe good luck!